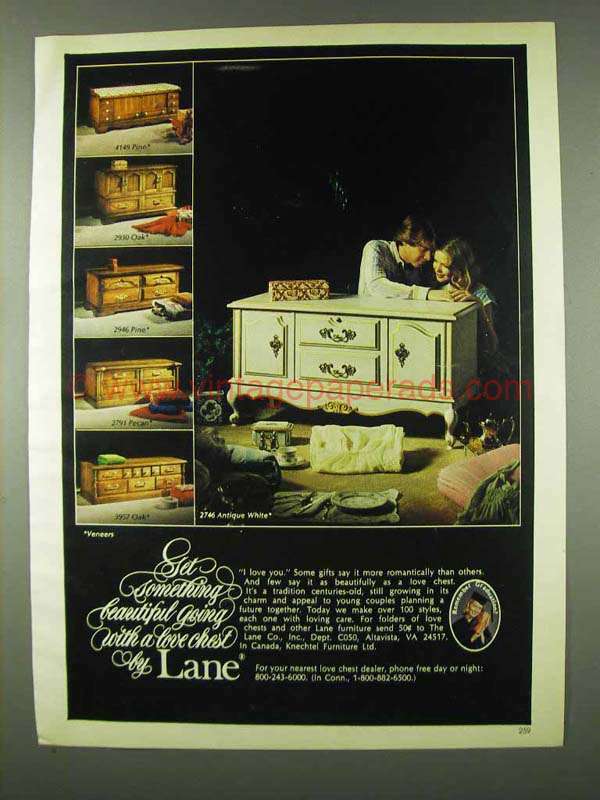 This is a 1978 ad for a Lane Love Chest: 2746 Antique White, 4149 Pine, 2930 Oak, 2946 Pine, 2791 Pecan and 3957 Oak! The size of the ad is approximately 8.5x11inches. The caption for this ad is 'Get something beautiful going with a love chest by Lane' The ad is in good overall condition, with some light wrinkling. This vintage ad would look great framed and displayed! Add it to your collecction today!